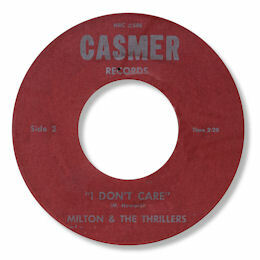 Although he may have come from Missouri as he sings on his second single, Milton Howard recorded for the tiny Atlanta, GA label Cas-Mer. For my taste the first one was rather better and I Don’t Care the best of the four sides. This heavy soul ballad features a rich deep vocal from the man, with a very deliberate intonation, accompanied by some fine musicianship from the band – a special tip of the hat to the organist. Both sides of the second release were more boo-ga-loo than anything else and it was picked up for wider distribution by John Richbourg. 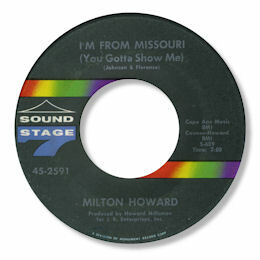 Note ~ The SS7 release was under the name “Milton Howard”.